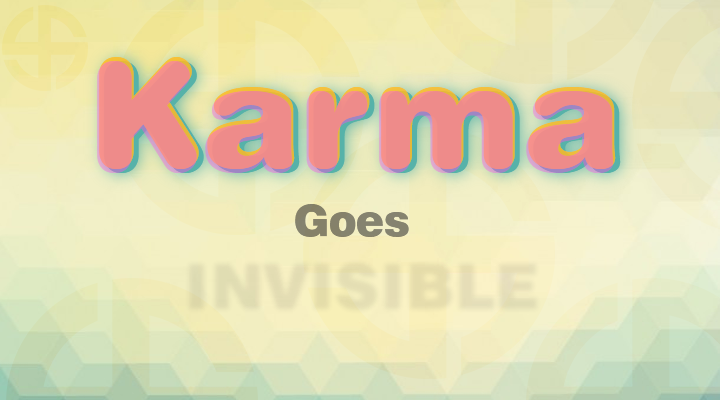 Where has Karma Gone? It is to be seen no where! What is going to happen no one knows, are we on our own? Well, is there anyone on the face of this planet who has ever seen Karma? Anybody? You know it very well that Karma is an invisible but a relentless force that never misses a day at work. You may not feel it every day but it has always been around, keeping a close eye, monitoring everything silently. Hence, don’t be a fool to think so, just keep working hard towards the greater good and one day you will be rewarded for all your efforts. Pro-tip – Karma Comes back, always!